Before you consider participating in an exhibition, attend the show as a visitor. The check-out will allow you to choose the most appropriate products for your exhibit, identify strategic spots and give you a comprehensive idea about ways to participate as an exhibitor. Learn about finding an appropriate exhibition stand builder. 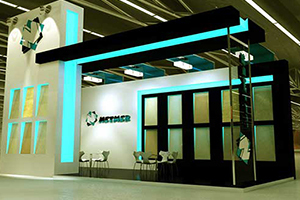 Preparation of an exhibition stand is extremely important to success at a trade show and is depending additionally of the selection of the exhibition stand builder. That should be experienced, show you previous projects and references, have all services in one hand: From design, project management, manufacturing and setup at the fairground. As well as printing and multimedia services. When considering any steps, the company should set up a 4 month planning schedule. Preparing is decisive as it would be what establishes if the trade show will be a success or failure for your business.